It’s nearing the time for the Big Game. Wouldn’t this help out your budget a bit? Enter below and good luck. Hosting a Big Game Day party doesn’t have to cost a lot. 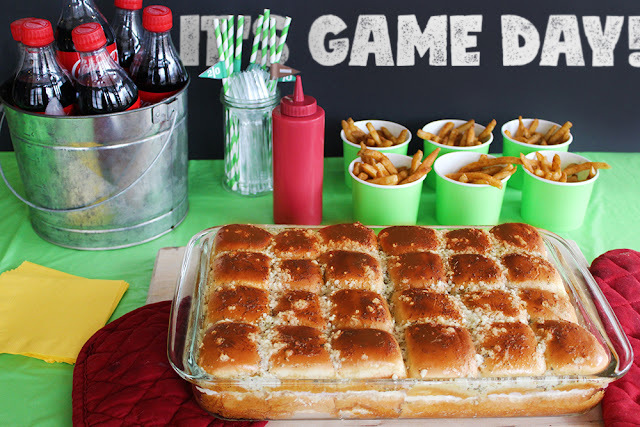 Holly from Southern Mom Loves created a Game Day spread for right around $20 at Save-A-Lot and you can too! #SwitchAndSave up to 40%. With prices like these, Save-A-Lot is your Big Game Headquarters. You can even get your paper products there! 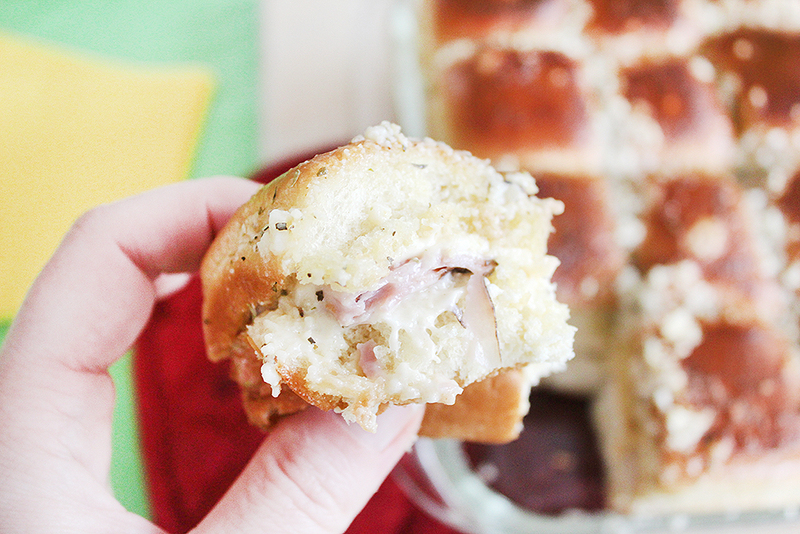 Check out Holly’s recipe for Black Forest Ham & Swiss Garlic Bread Sliders for an inexpensive Game Day dish that will feed a crowd for less. Giveaway begins on 1/21/17 at 1:00 am CST and ends on 2/11/17 at 11:59 pm CST. Must be 18 years or older, open to US residents only (void where prohibited.) Once winners are confirmed, they will be added to the Winner’s List here. Disclaimer: Finger Click Saver is not responsible for prize shipment. Southern Mom Loves was compensated for this post. No purchase is necessary to enter. One entrant per household, per IP address. All entries will be verified. Void where prohibited by law. Winner will be contacted by email; Please add southernmomloves@gmail.com to your whitelist. Southern Mom Loves/Save-A-Lot will be responsible for prize delivery to the winner. This giveaway is in no way administered, sponsored, endorsed by, or associated with Facebook and/or Twitter, Google, Pinterest, or any other social media platform. They opened a Save-a-Lot just around the corner from us! Just the other day I dropped by and they had boxes of General Mills cereals on clearance for a buck. My go-to game day dish is my famous buffalo chicken dip, but I’ll always give sliders a try. I shop at Save a lot here and there. Usually on game day I make my chili, everyone loves it! These sliders sound pretty good….maybe I’ll make them for the Super Bowl! My go to game dish is hot wings although these sliders look so good, i may be adding them to my repertoire too! I love shopping at savealot! I do shop at Save-A-Lot, have to go out of my town to. My go-to Game Day dish,a pizza chip bake. Think I will be making these sliders. I might do some sliders this year as everyone is getting older and cannot eat as much as before. Plus there will be an assortment of cocktail weenies and meatball as well as fruits and veggies. My FIL loves the Save-A-Lot right behind his house. My go-to game day dish is guacamole and tortilla chips! I do plan on making these sliders too! Yes, I do shop at Save-A-Lot & get some great bargains there. I think I will make these sliders for a change. We always have our BBQ wings though & the spinach dip. I do shop at our local save a lot. They have a really good meat department. My favorite game day dish is probably my home made spinach dip with crackers. We have a Save A Lot in town I frequent along with Aldis. Saving ANY $$ on grocery shopping is a blessing since I raise my 2 grandsons (8&11) with NO help. I wasn’t able to afford a party this past Sun, my beloved Packers played Atlanta. What a horrible disappointing game, thinking & hoping we’d make it to the super bowl this year (sigh) But, love our players & other fans no matter what! I probably would’ve made sloppy joes, baked beans & home made dips for a SB get together if we would’ve won. We shop at Save-A-Lot all the time and our go to food for Game Day is pizza and wings and snacks like chips and potato chips. I do shop at Save A Lot when I am downtown. They have pretty good prices there. My go to snack is pizza and wings. I walk to Save A Lot on warm days. They usually have meats on sale and fruit is always marked down. My kids go through fruit like it’s free. My go to game food is homemade sliders and meatballs. We shop at Save a Lot more than anywhere else.. My go to snack is definitely wings and pigs in a blanket! I love both so much, gotta have a special kind of sauce with both tho! I have shopped their before, I like to make pigs in a blanket to take some wheres.